S.Elop gives reaction to HTC’s 8X Nokia look-a-like + Is this more proof HTC copied Nokia? Ever since HTC announced its WP8 phones (8X and 8S), we all knew at first glance those looked a lot like the Nokia N9, Lumia 800 with its multi-color options and polycarbonate unibody. Obviously, S.Elop didn't react as we would have hoped, saying it is a good thing that they are more quality options on the WP8 platform and that Nokia still had what it takes to differentiate itself from the other WP8 OEMs. 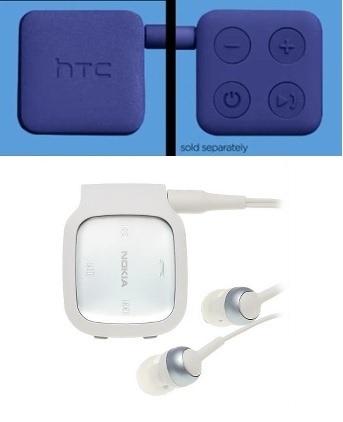 Somewhere in a parallel universe, Nokia is suing HTC! But what did we expect the CEO to say? that Nokia was pursuing legal action? come on! Nokia's been downsizing since last year and dumping money in legal fees on a manufacturer that is really only helping the expansion of the WP8 platform is just silly. Hate it or love it, HTC is doing Nokia a huge favor here, Nokia's the only company fully invested in WP8, and whatever HTC and Samsung can bring to the table (copied or not) is help Nokia really needs. Here is a HTC bluetooth accessory spotted in a promo video for their 8X and 8S. As soon as I saw this, first thing I said was "now where have I seen this before?" At this point, I am expecting to see HTC Play360 wireless "beats audio" speakers any moment now!